Did you know that many of the most effective business and political leaders possess traits typically associated with introverts (e.g., “soft-spoken,” “quiet,” “thoughtful”) Did you know that some of our most creative and innovative moments come during times of solitary introspection, as opposed to in group or team settings? As todays leaders are all too aware, one of the central challenges of any business is to bring out the best in its employees—employees of vast and varied personality types and abilities. This is true regardless of institution—military, government, private or public. Drawing on years of research and the latest in neuroscience and psychology, Susan Cain—best-selling author, Co-Founder of Quiet Revolution, LLC, and renowned expert in leadership and innovation—delivers an enlightening, relatable and practical presentation that will radically change your view of the best way to develop leaders, manage teams, make smart hires and stimulate innovation. 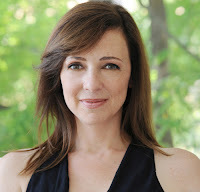 Co-founder of Quiet Revolution, LLC, one of Fast Company’s Most Creative People in Business, an accomplished corporate lawyer and negotiations consultant for clients such as JP Morgan, GE and Merrill Lynch and author of the award winning bestseller Quiet: The Power of Introverts in a World That Can’t Stop Talking–Susan Cain is a (quiet) force to be reckoned with. Deemed a “rock star” by the CEO of Steelcase, her groundbreaking presentations ring true to introverts and extroverts alike and inspire, among other things, a complete “reexamination of corporate structure and processes,” according to Fast Companymagazine. A self-proclaimed introvert, she is soft-spoken yet powerful, witty, and incredibly engaging. Cain has received high praise for her presentations at Google, Microsoft, Harvard, West Point, the SEC and the U.S. Treasury and is the recipient of several awards, including the Toastmasters International Golden Gavel Award for Communication and Leadership, and Harvard Law School’s Celebration Award for Thought Leadership. 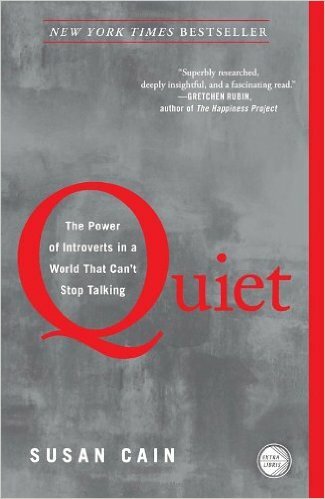 Through her countless appearances in popular media, including The New York Times, The New Yorker, Harvard Business Review, Scientific American, Forbes, The Atlantic, The Wall Street Journal, CBS This Morning and NPR, Cain shows audiences how to tap into their “quiet side” and leverage talents typically associated with introverts. Cited by Bill Gates as delivering “one of his all-time favorite talks,” Susan Cain offers audiences a revolutionary perspective on the importance of creating, accessing and voicing our “softer” sides in her not-to-be-missed presentation that has broad implications for leadership, innovation and teamwork.